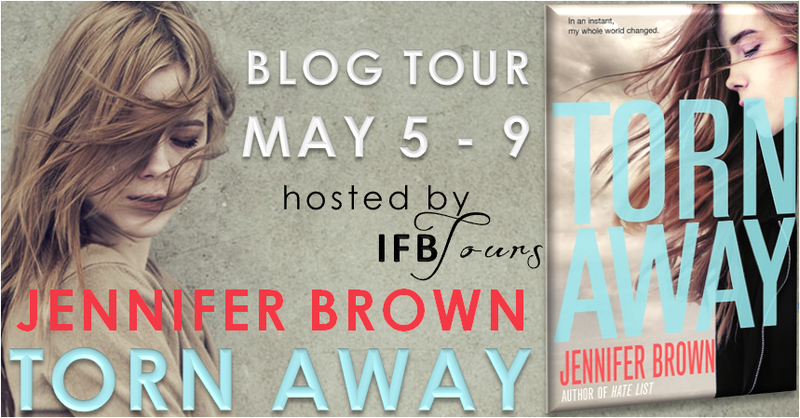 Torn Away by Jennifer Brown is a book about a girl who loses everything in a Tornado that rips apart her town. Not just physical possessions but also her mother and sister. She quickly finds herself being shuffled around to family she does not even know. Oddly enough when I was reading the part about the tornado coming it happened to be a Tuesday and I could hear the practice tornado drills going off. How creepy. It was easy to connect with this book right away. I live in Chicago suburb so we don’t have Tornadoes as bad as the south and Missouri. I think because we have more population but we do have an area we call Tornado alley. I remember when I was kid a couple tornadoes coming through. So when Jersey is acting nonchalant about the sirens and not going in the basement right away, I totally understand. I do that all the time. Well I used to anyway. I honestly won’t live in a house without a basement. It’s a deal breaker, will be no matter where I live. I love this book for many reasons. One is that the tornado is a big part of it, it’s not just the disaster that happened and we are seeing the aftermath. 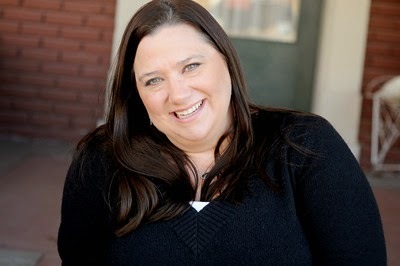 Jennifer writes about before the tornado, during the tornado and then the devastation and confusion after the tornado. This is all before Jersey is even shipped off. What would you do if your whole street had been destroyed, I have no idea what I would do. Probably just stand there a lot like Jersey did. I really like how the book touched on how the community dealt with it as much as the character herself. Another thing is this book is not about love in the romantic sense. 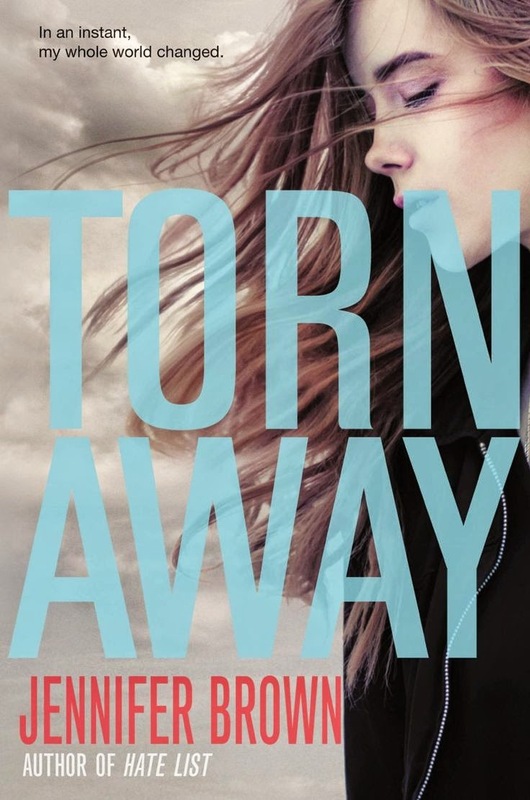 It’s about Jersey finding out who she is after losing everything. Even Jersey doesn’t focus on the physical things, it’s her mom and sister that she often thinks about. We see glimmers of happy memories and some regrets. She didn’t spend enough time with her sister or she didn’t tell her mom how much she loved her. Those kinds of things. We really see Jersey’s grief and how she processes it. She is put in a very difficult situation by her stepdad and it’s a struggle for her to find peace with their deaths. I was so mad at so many people in this book, starting with Ronnie. Way to make a bad situation worse for Jersey. I kept thinking what if Jersey and Marin survived what would you have done then! I wanted to smack him. Plus the family situations that Jersey ends up with are definitely crazy. I kept thinking can’t this girl catch a break. The book is a journey for Jersey and she ends up learning things about her mom that she never knew. Some things her mom said were true and some were not. As she learns her moms past she becomes more connected with her. The writing is good, the characters are good, and the plot is definitely good. It’s a quick read and highly recommend it. If you are looking for something that is not so focused on romance and is more about the characters then this book is perfect. I really could not put it down once I started. The Publisher is providing a Paperback Copy for giveaway!! Good review. Thank you for participating! First I have to tell you that I love your name Book Witch. Yeah I know, it dosn't have anything to do with this post...just one of those things I had to say...lol!! I really like your review!! I love how you gave out bits & pieces w/out giving so much that they were spoilers. Awesome job! !